As a newbie to making pasta, this was much easier than I anticipated. There are so many different types of variety of pastas I can make; from raviolis, to fettuccine, and I may even start to make my own spinach pasta! The possibilities are endless! Attach mixing bowl and the flat beater to your stand mixer and place flour, salt, eggs and oil into the mixing bowl. Turn your mixer to speed 2 and mix until mixture is well combined. 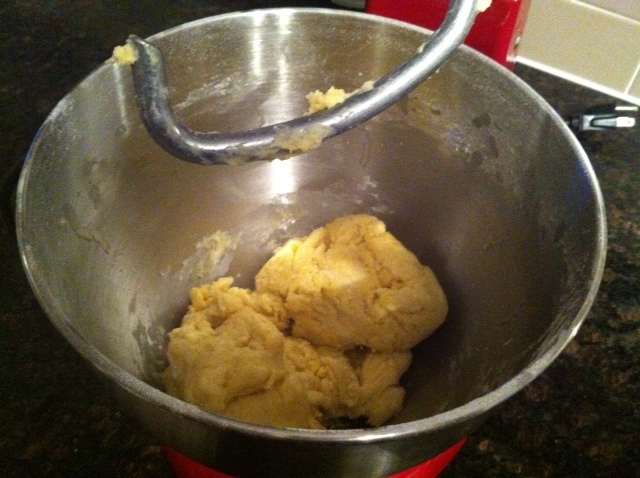 Attach the dough hook and turn the mixture to speed 2 and knead 3-4 minutes or until the dough is smooth. *Note: If dough is dry, add a table spoon of water to give it some moisture. Wrap the dough plastic wrap and rest it in the refrigerator for 15 minutes. Meanwhile dust a clean surface with flour. 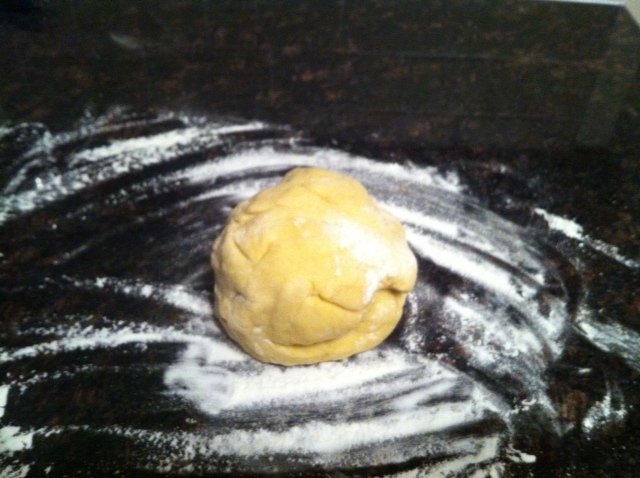 Cut the dough into 4 even sections and wrap the used sections in a little plastic wrap to prevent it from drying out. Attach the pasta roller to the stand mixer – or in my case, I have a manual one. Take one section of dough and pat out to flatten. Adjust the roller setting to its lowest setting. Run it through the roller. 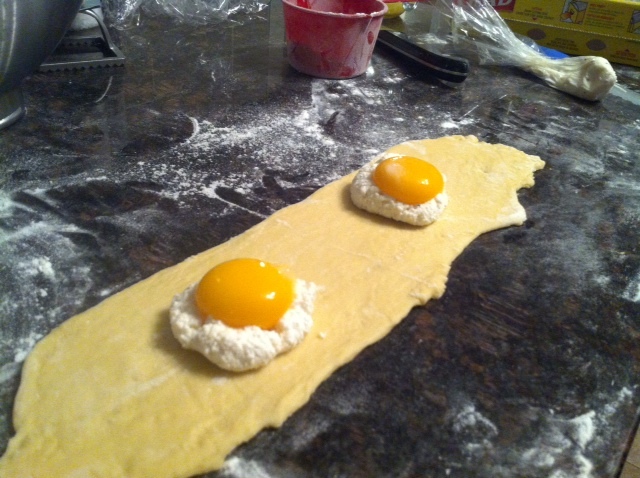 Fold the dough in half and feed through again. Repeat this step twice. Gradually increase the roller settings. Keep feeding the dough through the roller until you have a long piece to your desired thickness. Lay the sheets on a clean surface. Trim the ends if not even and discard. Now cut to desired shape and enjoy creating different types of pastas!